Per Martin-Löf is a Swedish logician, philosopher and mathematician statistician. Since 1970 he has been mainly publishing on logic. 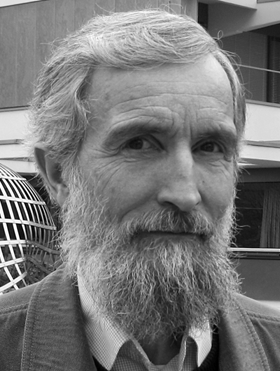 Martin-Löf has been active in developing intuitionistic type theory as a constructive foundation of mathematics and his work on type theory has influenced computer science. He completed his PhD program under supervision of Andrei Kolgomorov and is currently Professor at Stockholm University, being a member of the Royal Swedish Academy of Sciences. In this post we’ll talk about assisted theorem proving, more specifically using a tool named Agda, which has it’s syntax based on Haskell and the engine is based on the Per Martin-Löf’s intuitionistic type theory. We’ll first talk about the basic concepts such as assisted theorem proving and dependent type theory and then present a very brief introduction to Agda based on a tutorial from Ulf Norell and James Chapman . (1) is the oldest, most known and widely used method by mathematicians. (2) Since the introduction of computers, we now can have machines to verify syntax and make manual proofs less error prone. (3) We can also write proofs in a way the machine understands so that it can perform some logical deductions steps for us. (4) In the last extreme case, we can let the machine do all the job and find proofs by itself. Basically speaking, dependent type is a type that depends on a value. In typed programming languages we can have a type like vector T, representing a vector containing elements of type T, but in a dependent type language we could also have vector T n, representing vectors with elements of type T and length n. We’ll see an example for this type in the next section using Agda. Agda is a dependent type language based on intuitionistic type theory, introduced by Martin-Löf. It was first implemented by Catarina Coquand (who is married to Thierry Coquand, which inspired the Coq tool, another famous assisted proof tool). Later it was rewritten as Agda 2 by Ulf Norell, one of the authors of the tutorial we’re going to follow. Delimiters. Agda is very flexible in naming, by only considering very few characters as delimiter (including space, parenthesis and curly brackets). This means we can have names like :<a*, but then we have to be careful in adding space whenever we need to separate two variables. Data Types. Our basic working blocks will be types and we can define them by data types, which have syntax similar to data types in Haskell. For example, we can model the boolean type, which we call Bool. In the following code we have the type named Bool which is a subset of Set (pre-defined) and we provide two constructors, both being of the type Bool. Note that we are saying the constructor suc represents a function that receives a Nat and return a Nat, but we are not providing the implementation for it. So let’s write some functions to work with the Nat type. More specifically, addition and multiplication. Note how we define everything in terms of the basic elements from Nat, that is, zero and suc, we have no notion of values. This is important because if we want to encode proofs as programs, we have to be generic and ‘value agnostic’. In this function we pattern match on different values of the first argument: If it’s zero, we are in the base case. Otherwise, the first argument must be a successor of some another value n, so we do recursion on n until it hit the base case. The code above will cause an error because Agda requires strictly different priorities for different operators. Here we have two parameters when defining the data type, Nat -> Set. Notice also how when defining the list recursively we update the value n properly. Proofs as types. We are now going to write an example on how to use dependent types to encode proofs ( as types. Let’s start by defining data types to represent the two possible values of a boolean. Note that we don’t specify constructors here. Finally, we can now write a sample function that encodes a predicate as a type. In the following example, the function lookup accepts one member of the family of predicates in which n less than the size of the list is a true statement. This concludes our brief introduction to Agda syntax and dependent types. In following posts we’ll learn more about writing proofs and have Agda to perform logical derivations for us. I have close to zero knowledge in formal systems. I’ve been exposed briefly to it by reading parts of Gödel, Escher and Bach and the subject sounds very interesting. I based most of the content of this post in a few introductory tutorials [3-6], but I still didn’t get a good grasp of the power of systems like Agda. I was initially interested in learn Coq but due to some problems in setting it up, I ended up looking for alternatives and found Agda. It seems that Coq is based on Ocaml and Agda is based on Haskell and since I’ve been focused in learning Haskell, it was a pleasant surprise. Agda has also has a good integration with Emacs, which is my favorite editor, so this was a plus. This entry was posted in agda, artificial intelligence, emacs, haskell, logic, software. Bookmark the permalink.